CES wraps up and we look at some new and interesting tech. Finger phones, magic rings, mech races, talented robots and more gadgets and gizmos below. It’s been a wild few days in tech with CES taking place this week. We saw technology that let you use your finger as a phone, a ring that can control notes on a keyboard, the introduction of exo-bionic racing mech, professional Scrabble and Ping Pong playing robots, and more. The Sgnl wristband uses Body Conduction Unit (BCU) technology to send vibrations down the user’s wrist then converts them into amplified sound, allowing people to immediately answer phone calls. A speaker in the wristband allows the person on the other end to hear you, and the wristband also has smart functions (like reminders and health and fitness tracking capabilities) built in. One ring to rule all the keys on a keyboard, that is. Another piece of wearable technology introduced at CES was Enhancia’s Oria MIDI Ring Controller. 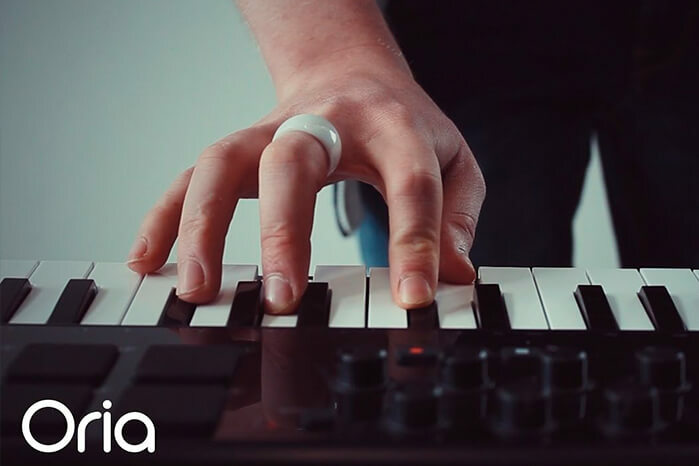 When you wear the Oria ring and play a MIDI keyboard, you can wave your hand or slide your fingers up and down the keys to change the vibrato and intensity of the notes. The ring is built with nine sensors to wirelessly pick up your gestures and send them to a hub plugged into your keyboard. It’s a product better seen in action, so check out this video to better understand how it works. The Enhancia team hasn’t announced pricing yet, but the product should be available this March. So, it’s 2018 and something we didn’t know we wanted is finally here: mech racing. Furrion, an exo-bionics company, introduced their first exo-bionic racing mech called “Prosthesis” at CES. 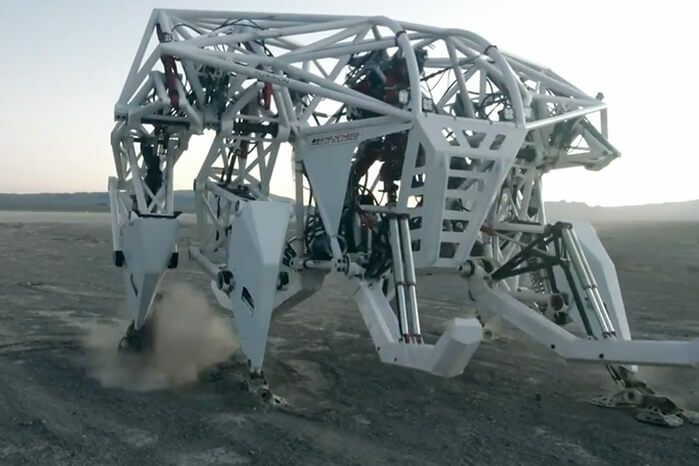 “Prosthesis” is an exoskeleton controlled by a human that sits inside, can rup up to 20mph and can step over obstacles, is 15 feet tall and weighs more than 8,000 pounds. Furrion also announced the creation of the X1 Mech Racing League, so yeah. The future is here. Last year, robots proved how smart they were and beat us (pitiful) humans at poker, Go, and Dota 2. This year, robots continue to prove how much better they are than us. There are two new artificially intelligent bots that are putting humans to shame during games of Scrabble and Ping Pong. The Scrabble bot uses AI, 3D vision, and hand-eye coordination that can determine and play high-scoring word combinations to defeat its opponents with the power of the entire dictionary at its side. As for Ping Pong, Forpheus is the name of the robot that uses a robotic arm and has a brain motion controller to determine the correct timing and direction to hit the ball at within 1,000th of a second. If you’re crazy competitive, don’t even try. Because you’ll lose. What was Netflix doing at CES? Turn out, the streaming giant was using the convention to build hype for their upcoming sci-fi drama series Altered Carbon. The Psychasec (the drama’s fictional company) booth featured “lab-grown bodies” and “technology” that allows humans to digitally transfer their consciousness to different bodies. Although most people knew it was a marketing stunt, this brand activation got many interested onlookers wondering what the tube-humans were all about.